• Take a course in CPR. Learning CPR can help you save the life of someone you love, whether it be at your swimming pool or someplace else. Remember to take occasional refresher courses, and keep literature posted near your swimming pool to remind you of the procedures. • As a rule never swim alone. This is especially critical to explain to children. Even great swimmers occasionally need some help. • Avoid swimming in pools at night that are not properly lighted. 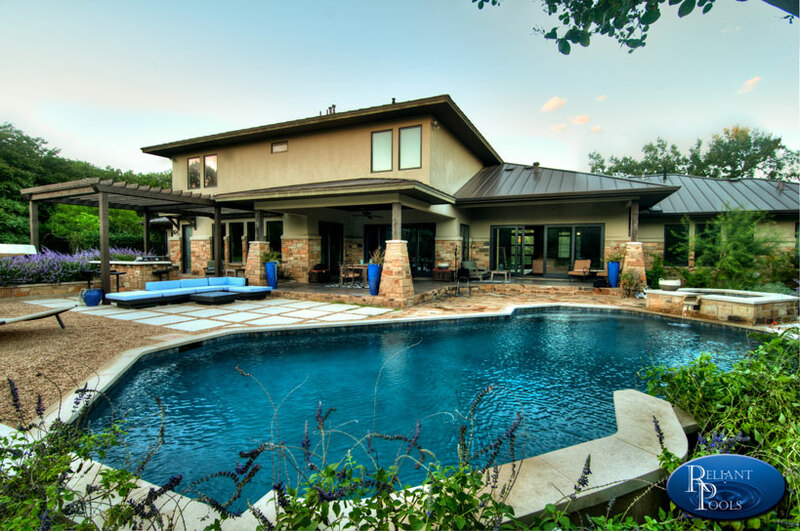 This is something you should talk to your Austin pool builder about before your pool is built. Pool lighting is critical at night so that you can clearly see if somebody is in need of help. • Make sure chemicals are safely stored out of the reach of children. As a Round Rock pool builder it is our recommendation to use a cartridge filter to eliminate the use of the DE recharge required by DE filters, and thus reducing the amount of harmful chemicals you have to store. • Make sure your swimming pool is built with VBG complaint drains to prevent entrapment hazards. Also known as a split main drain, these drains should be properly maintained at all times. Consult with your swimming pool builder for more detailed information. • Keep rescue equipment on hand at all times. Floatation devices such as life vests, rescue rings, and life hooks should be kept on site at your swimming pool even when you are not using it. • Make sure all gates are self closing and self latching. Your Round Rock or Austin pool builder should be aware of this, as this is required to pass the city permitting process. • Teach your children to swim. This should come naturally with pool ownership, however formal classes can be very helpful in learning the proper techniques as well as the various safety tips they will instill. This is just a small list of safety tips, please use your best judgment and error on the side of caution when it comes to swimming pool safety.